Windows 7 – a great operating system from Microsoft after Windows Vista which was really a disaster. Vista was the operating system that has got everything that a user dont want – slow speed, huge installation space, hang up time to time. But, when I was switched to Windows 7, I was pretty happy because it got everything that a user want – low installation space, fast speed, stunning graphics, aero functions and much more. Windows 7 become my first primary operating system and recently I thought to free up some disk space because lot of unwanted programs, windows features were making my system slow. While there are many software that allows you to free space in Windows 7 but hello! we are freeing up space and installing software also takes space. But, there are some tools and tweak already available in Windows 7 that you can use to easily free up a large amount of disk space without running a dedicated software for it. These methods will not only help you in free up the disk space but also make your system much faster than ever. So, if you to want to make full use of your hard disk space, here’s the Top 3 easy ways to free up disk space in Windows 7 without installing any 3rd party software. 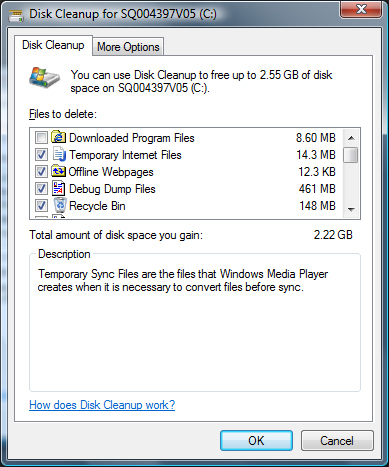 Choose which files to delete from the Disk Cleanup Tool options. You have to tick the checkbox right next to the filename. 2. Turn Unused Windows Features : Though, Windows 7 is a great operating system but one thing that I don’t like that OS forcefully installs several features that are never used by its users. These features sometimes takes a huge space in your hard drive without having actually using them. Simply tick the checkbox if you want particular feature or uncheck the box to disable any feature. 3. Remove Unnecessary Programs : Ok, that sounds easy – why to keep unnecessary programs in your hard drive when you are not using it. It’s good to have one or two media players installed, but why having bunch of them to clutter your disk space. 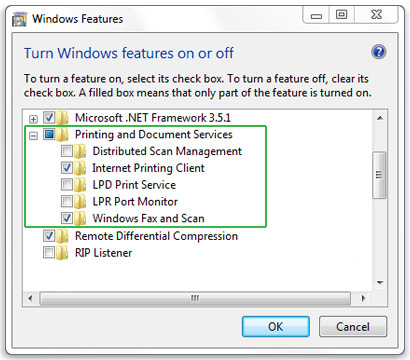 Find “Programs” options where you can see installed programs. 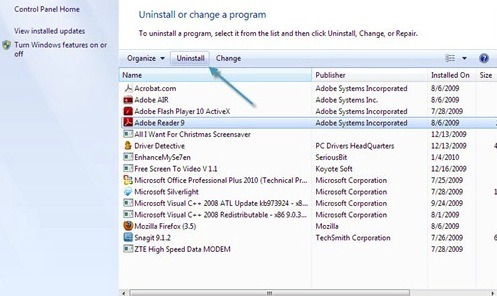 Click on unused program and it will give you option of Uninstall, change or repair. Click on Uninstall and you just removed the program that you are not using. You just read the most simplest and effective ways to free up a large amount of disk space in your Windows 7 without using any software. If you know any other way that is useful for freeing up disk space in Windows 7, do tell us in the comments section below.